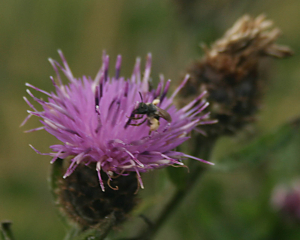 Observation - Small bee /wasp - UK and Ireland. Description: The smallest bee / wasp I've ever seen I need help identifying this seen on a thistle near the caost. The smallest bee / wasp I've ever seen I need help identifying this seen on a thistle near the caost.